The open-air mesh upper provides maximum breathability while remaining incredibly lightweight. The mesh material allows air to circulate freely to the foot, increasing the ventilation and keeping your feet cool during races. 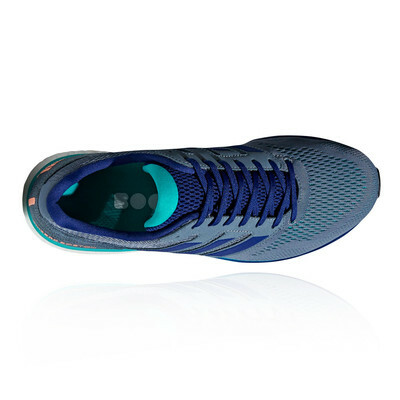 Synthetic overlays on the upper provides extra support for the sides of the foot, and make the shoes more resistant to the wear and tear you'll encounter on road races. A lace-up front with micro-fit technology locks the foot down for a snug, secure, direct fit and a fast run to help you on your way to victory. 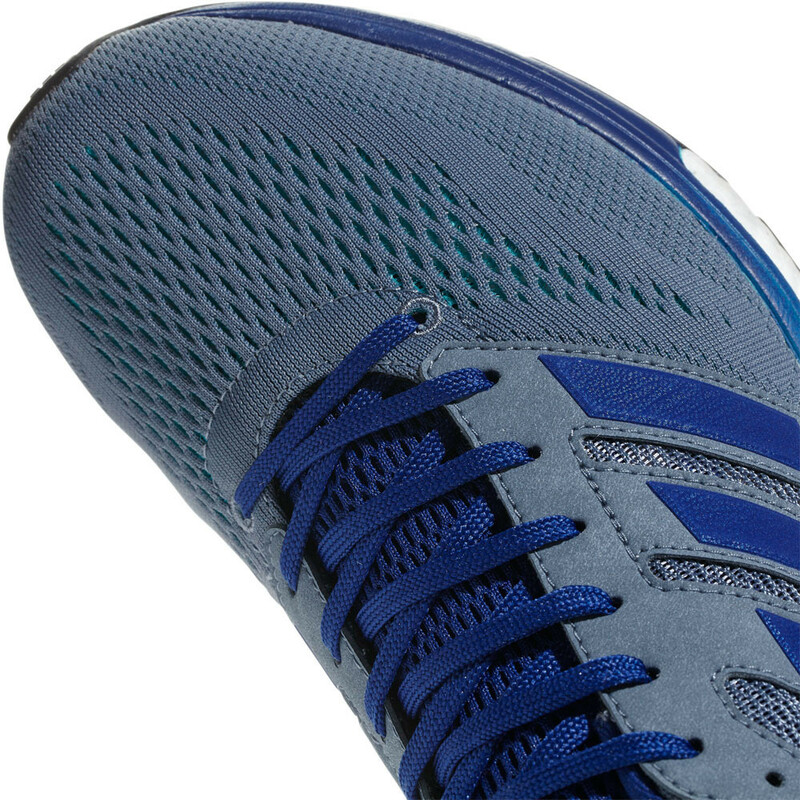 A lightweight Boost engineered midsole is embedded into the adidas Adizero Boston 7's midsole. 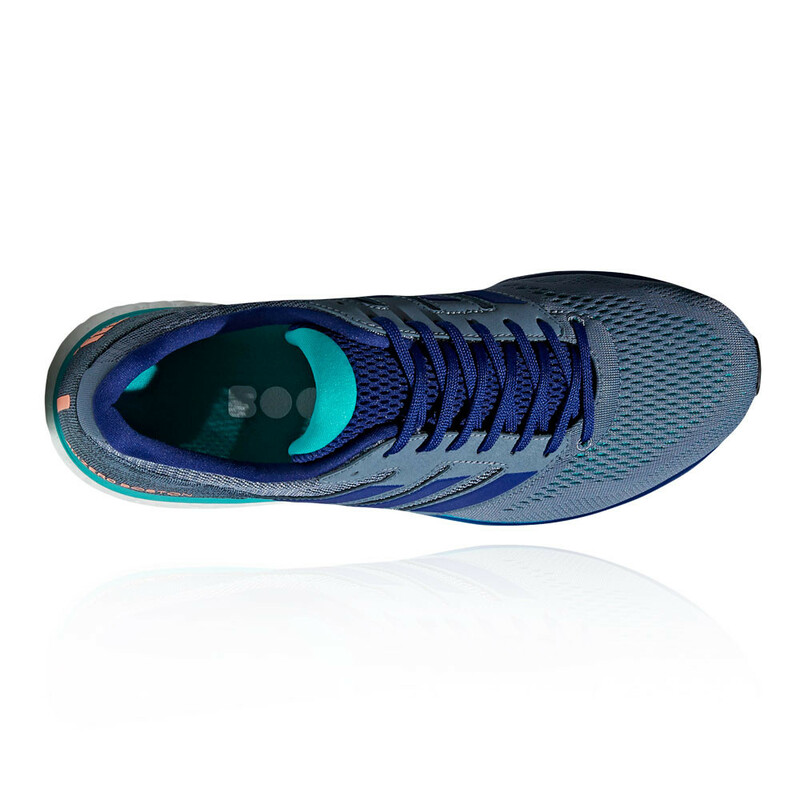 The boost foam compound provides endless energy return from heel strike through to the toe-off phase of the gait cycle. It features hundreds of visible energy capsules that store and unleash endless energy every time your foot hits the ground, meaning that every step is charged. When your heel hits the floor, the boost particles compress and store kinetic energy; as you transition through to mid-stance, the boost particles relax and release their stored energy, which propels you forward with an explosive take off. 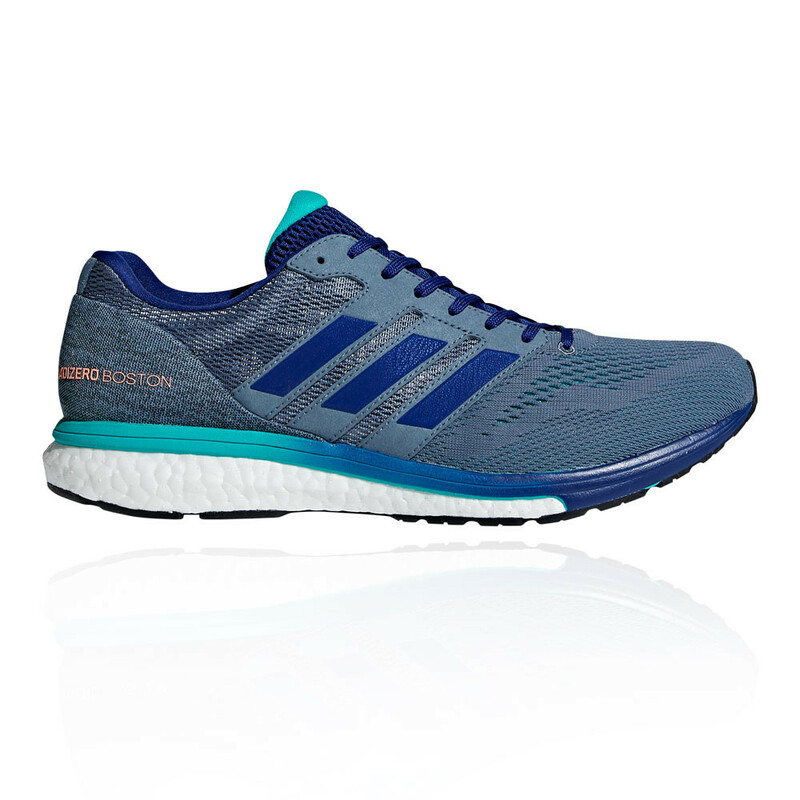 The boost midsole will change your runs forever, thanks to its energy-returning properties. 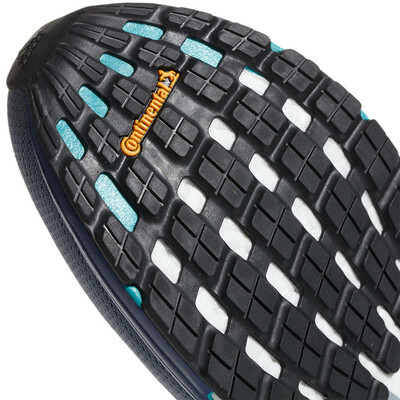 In addition, when the boost capsules compress to store energy, they cushion the foot from impacts. 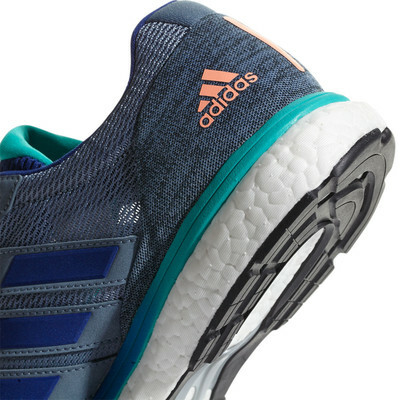 The boost particles only compress so far, which means that they also provide light support whilst on the road. Stretchweb technology has been strategically placed on the forefoot and rearfoot of the outsole to give a flexible, energetic ride. Made from a highly durable rubber compound, Stretchweb lowers the amount of pressure that is generated during the footstrike. 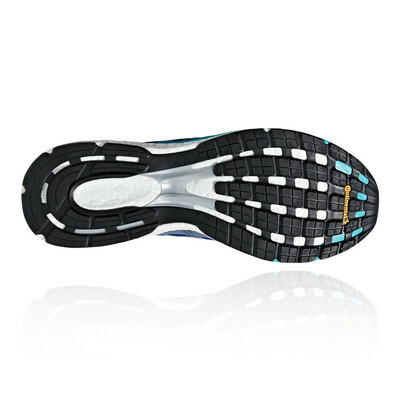 Therefore, it lessens the impact on your feet to minimise injury and provide increased performance. Combined with a Continental rubber outsole that provides unbeatable grip in both wet and dry conditions, you'll be propelled towards the finishing line in comfort and style.